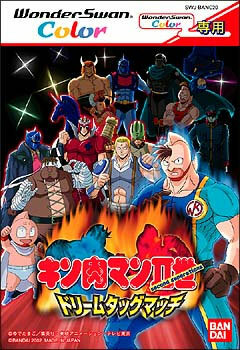 Kinikuman is an alien prince whose escapades are detailed in the Shonen Jump manga. 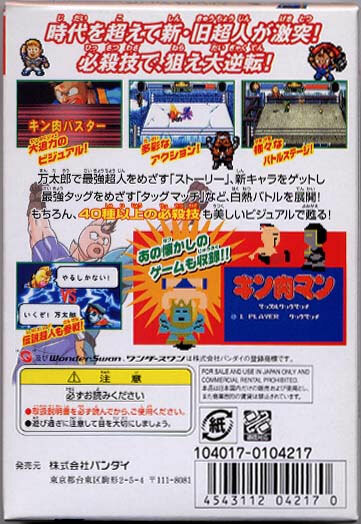 This is a whacked out wrestling game could teach the WWF games a half nelson or two. 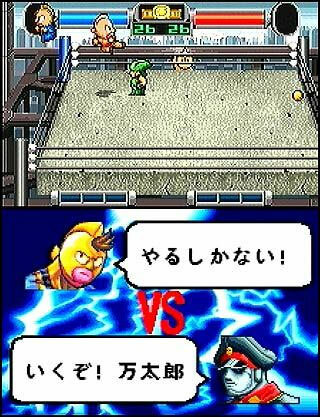 Shrunk down sprite characters look good on the small screen with some great avatars to show the emotion behind the wrestling masks. Brand new. Light denting in box and slight discolouration.